Above is a great example of how a Payments Gateway works. Image source can be found here. Welcome to Australia’s leading Payments Gateway resource website. 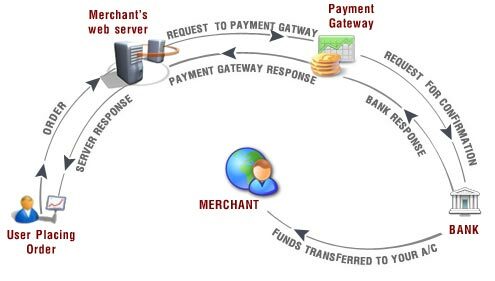 The information on this website has been provided by Australia’s Best Payments Gateway Merchant Warrior and is intended to educate merchants on the Payments Gateway industry. This website will focus on online merchant processing and will not delve into the intricate workings of the Card Present (physical processing terminals) industry. If you are a merchant who is curious about what happens behind the scenes of a Payments Gateway or if you are interested in understanding how online payments take place then this website should serve as your one stop shop for Payments Gateway industry information. There are a number of terms that are used in the Payments Gateway industry that often confuse merchants. These terms will be used consistently throughout this website, however, each term will be explained in depth and examples will be provided. To begin the process of learning about the Payments Gateway industry start by heading to the WHAT YOU NEED TO KNOW tab above.